Anyhoo, according to the colors in my head, today is orange. Now here is an interesting dilemma. I love orange. Not such a big fan of Wednesday. It probably has something to do with the fact that this is the day where I have the greatest volume of medical transcription and it seems like I am sitting at this computer for an interminable amount of time. I realize, of course, that my day would be considerably shorter if I didn't have such a short attention span and feel the need to cruise through blogs rather than typing about torn ligaments in the knee and torn rotator cuffs in the shoulder. Today is an orange day. Interestingly enough, that ties into a really great giveaway from Fairytale Pumpkin. I'm a big fan of finding quilting inspiration from various places. Like color inspiration from magazines. And then she went on to design a great journaling template, usable for so many different things. Pictures of your kids' first day at school, some quilting designs you want to document, a trip you took this summer. And here's the great thing about this orangey goodness. As if it wasn't enough that her logo is so creative (and orange!) and that fact that she figured out to make her own button (which totally impressed me), Fairytale Pumpkin is having a giveaway! I know! I couldn't believe it either! So now you too can have an Orange Wednesday! I highly recommend it. 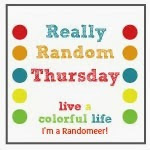 If you, like me, aren't a particularly huge fan of Wednesday, at least not until your work is done, then the best thing you can do is add some color to your day and head on over to Fairytale Pumpkin. I love your color inspirations from magazines! 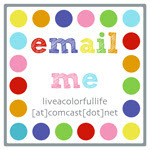 I especially loved that post of the Martha Stewart Living issue about color. Have a happy Orange day!